Until the mid-1930s, the Soviet security authorities considered Armenian nationalism and its main driver, the Dashnaktsutyun Party, as their conceptual rather than ideological opponents who were not spied upon or subject to any collective or individual repression until they committed any illegal acts. Simply put, the Dashnaks were under surveillance and in some cases the most active ones were sent into exile or imprisoned in the concentration camps of the State Political Directorate (SPD) (the practice of using free labour of prisoners in favour of the national economy had not been yet popular in the Soviet Union). They were considered rebels and terrorists rather than political and ideological rivals, as opposed to any religion and clergymen against which the state security authorities used all the power of its repressive system. in July 1933, the Director of the State Political Directorate (SPD) of Armenian SSR, 1st class State Security Commissioner Armenak Abulian wrote an analytical memo where he clearly indicated "the organisation of reckless attempts such as the deployment of many gangs and their chieftains from Persia to Armenia and the organisation of terrorist acts against the state officials" as the main threat to the Soviet government. Dashnaks were not considered suitable for serious large-scale operations. 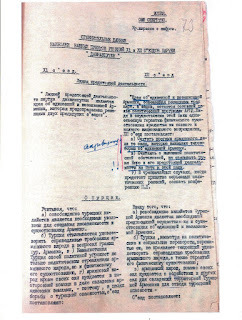 This top-secret document was officially called Comparative data on the most important aspects of the decisions adopted by the 11th and 12th congresses of the Dashnaktsutyun Party and only the high-ranked SPD officials could have access to it and share as much information as necessary for the operational staff to fulfil their official duties. The copies were sent to the heads of relevant directorates in Azerbaijan SSR, Georgia SSR, and Nakhichevan Autonomous SSR. Based on the information received, they had to ensure the work of subordinate departments in situ. A copy of the analytical memo is still reserved at the State Security Service of the Republic of Azerbaijan. 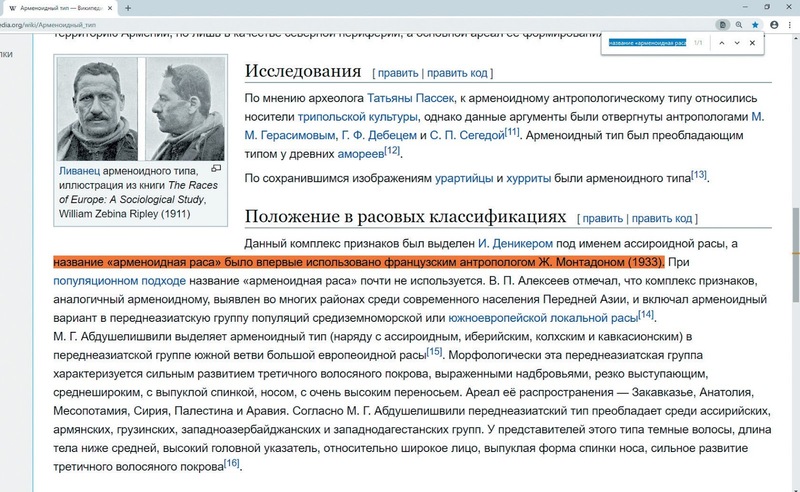 Surprisingly, the author of the memo died under mysterious circumstances in the following year either in a car accident, or was shot dead in office by Lavrenti Beria, the then First Secretary of the Transcaucasian Regional Committee of the All-Union Communist Party of Bolsheviks (VKPb) and a member of the commission responsible for drafting the Regulation and Special Convention of the Soviet NKVD, who called Abulian to Tbilisi for a report. The Dashnaks became ideological opponents of the Bolshevik Party in 1933, when Garegin Ter-Harutyunian, also known by his party nickname Nzhdeh, founded on July 16 the Tseghakron organisation in Boston, MA, which was later renamed to the Federation of Armenian Youth. Thus, he managed to turn his theory of Armenian Aryanism into practice. Almost at the same time, two more and apparently unrelated events happened. On January 30, the leader of the National Socialist Workers Party of Germany (NSDAP), Adolf Hitler, was appointed Reich Chancellor of Germany. Also, a French anthropologist G. Monthodont, who has been known neither before nor after the events, declared the existence of a separate "Armenoid race", the same "ancient" race as the Aryans from the racial theory of the Nazis. It is not by accident that all three events took place at the same time. Having been well aware of the complete impotence of his associates in the USSR and Turkey, Garegin Nzhdeh consciously founded his organisation to attract the attention of the newly minted führer of the German nation, to join the Nazis and use their military-technical power in the interests of Armenian nationalism. 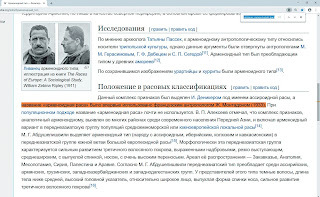 Obviously, Nzhdeh was not a German Nazi per se because he believed in the dominance of the "Armenoid" race, not German, and only pretended to be a Nazi by filling its external form with a completely different content, Tseghakronism. Despite these disparities, however, the identity of both racial theories, Nazism and Tseghakronism, still remains an objective reality. It has long been known that when Armenian authors or public figures introduce new Armenian words to scientific or political terminology, they try not to translate their meaning into other languages. Therefore, only a handful of people know today what G. Ter-Harutyunian’s party nickname (Nzhde) truly means. Literally, it can be translated as "a man who left his homeland to work abroad"; in modern interpretation, it simply means a guest worker or a vagabond, rolling stone. Similarly, the word Tseghakron has been once used both as the name of Nzhdeh's organisation and as a term defining the essence of his theory. Today, Armenian politicians and journalists are trying either one of two: to remain silent or to interpret these terms as they think fit the most euphonious analogies in other languages. Meanwhile, the contemporaries of Nzhdeh who lived in the middle of the last century comprehended and interpreted them differently. 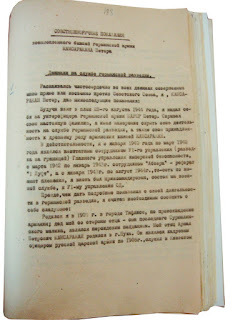 The State Archive of the Russian Federation (GARF) stores a number of interrogation records taken by the USSR National Commissariat of Internal Affairs from a German soldier of Armenian origin from Shamakhi, Peter Kamsarakan (Kamsarakian), who lived in Austria before the World War II. He was an agent of the Reich Main Security Office (RSHA), who took an active part in recruiting the leaders of Armenian nationalists in Europe to serve the Third Reich. The fate and testimony of this person will be a topic of one of our subsequent publications. 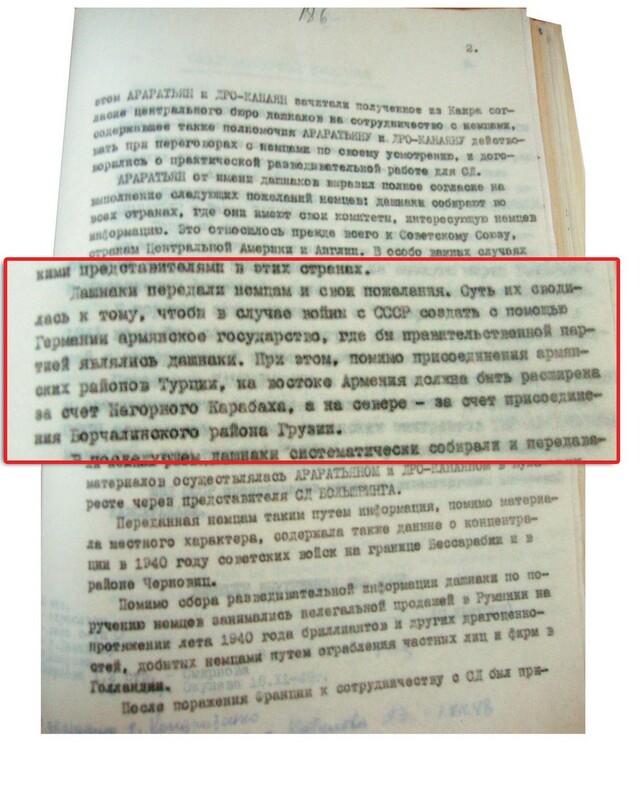 During the interrogations first held by the officers of the Soviet Main Counter-intelligence Directorate (SMERSH) and then by the investigators of the NKVD and the Ministry of Internal Affairs, Kamsarakan repeatedly and quite definitely translated the name of the organisation Tseghakron as "racists". Thus, Nzhdeh is close to Hitler at least because he also authored a theory of racial superiority, the representatives of which are not the Aryans but the Armenoids. 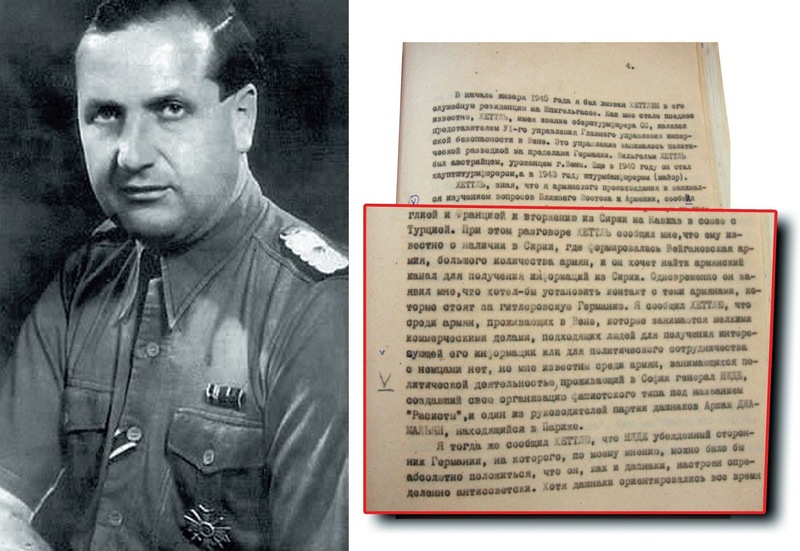 So, the leaders of the Soviet state security authorities knew very well that Nzhdeh was not just an ordinary Nazi apologist but also one of the main interpreters of this ideology for the peoples of the Soviet Union. That is why the issue of his release after Stalin's death or his posthumous rehabilitation has never been considered, at least at the level of public debates. "... [Höttl] told me that he would like to reach out to those Armenians that supported the Nazi Germany. I replied that he could not find the right people among the small Armenian businesses in Vienna, which could provide interesting information or be suitable for political cooperation. However, I knew a couple of politically active Armenians, who lived in Sofia. One of them was General Nzhdeh, the founder of a fascist organisation called the Racists. The other one was Arshak Jamalian, one of the leaders of the Dashnaksutyun Party, who lived in Paris. I also told Höttl that Nzhde was a staunch supporter of Germany and he could trust him absolutely; and that Nzhdeh, like the Dashnaks, was definitely anti-Soviet. Although the Dashnaks had always been oriented to the West, i.e. UK and France, one could assume that in that situation they would cooperate with Germany. Having believed in the power and future of Germany, I thought that the cooperation with Armenians would definitely be beneficial for both the Dashnaks and the Racists also because of the anti-Soviet position of these parties, which seemed to me a sufficient guarantee of such cooperation." 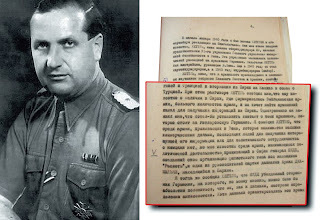 Austrian Armenian Peter Kamsarakan was a very important and valuable source of information for the Soviet special services and law enforcement agencies. That is why his case was personally supervised by the Soviet Minister of Internal Affairs, Colonel-General S. Kruglov. 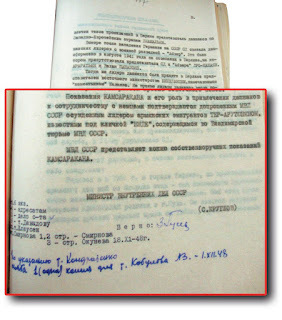 On November 18, 1948, he signed a top-secret document addressed to J. Stalin, V. Molotov, L. Beria, and G. Malenkov. 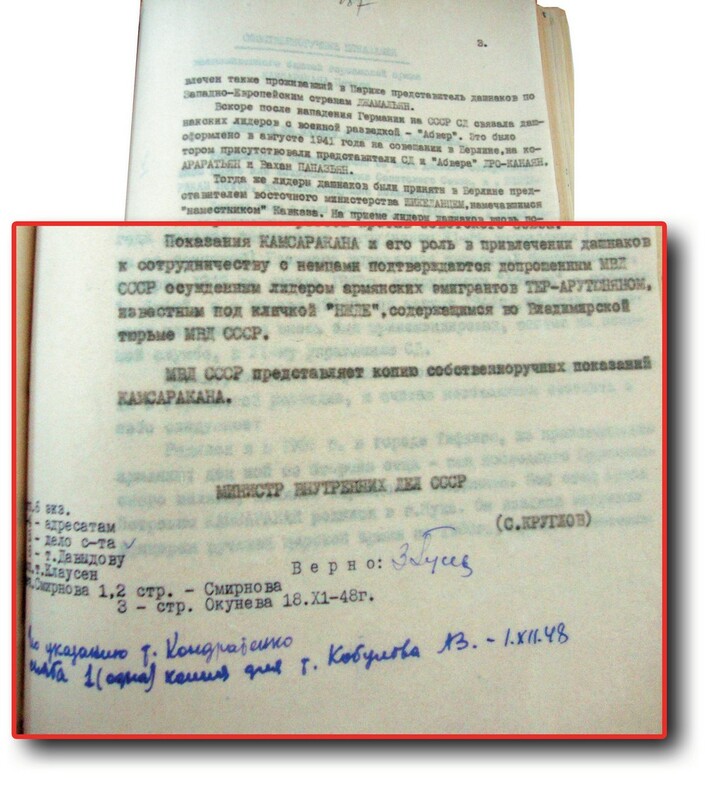 Later, on December 1, another copy of this document was sent to Lieutenant-General of State Security A. Kobulov, Head of the Directorate S under the Soviet Ministry of State Security, predecessor of KGB, which indicates the extremely high level of secrecy attached to this document. 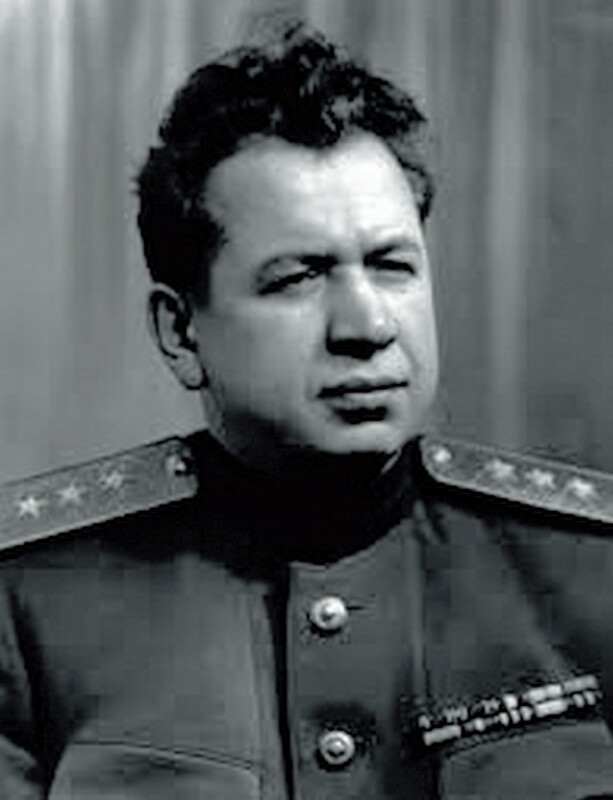 In fact, only the top political leadership of the USSR and only few leading, operational and technical staff members of the Soviet state security agencies knew about the content of the documented testimony of Kamsarakan and his physical existence in general. 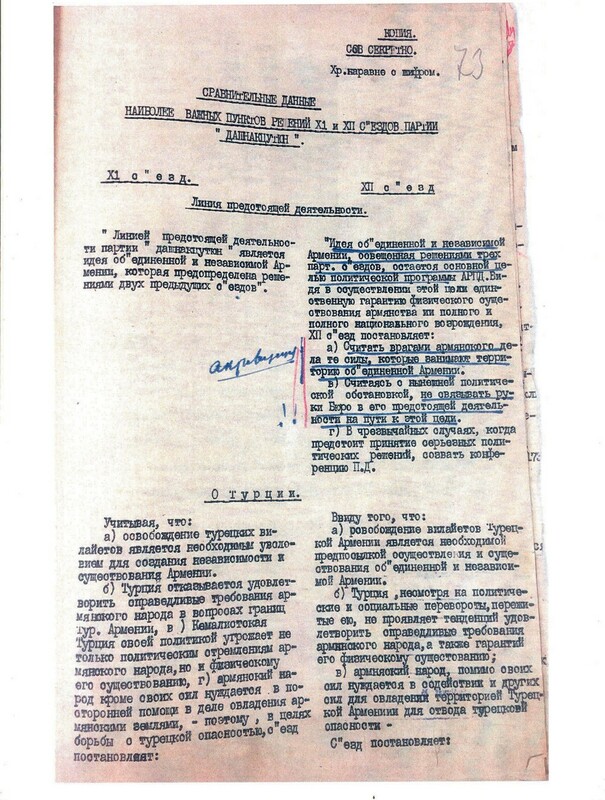 The document was later found in the GARF archives by the Doctor of History, Prof. Jamil Hasanli, who is the largest Azerbaijani researcher of modern history. "... the Dashnaks collect information for Germans in all countries where they have committees, primarily in the Soviet Union, Central American countries, and the United Kingdom. In particularly important cases, the Dashnaks have to establish direct contact with German representatives in these countries… In addition to intelligence data, the Dashnaks, as instructed by their German patrons, were engaged in the illegal sale in Romania (summer 1940) of diamonds and other jewellery collected by Germans as a result of robbing individuals and companies in the Netherlands" (that is, the jewellery expropriated from the Dutch jewellers of Jewish origin, O.K. )… The Dashnaks also asked Germans to do some favours in return such as the establishment of an Armenian state within Germany in the event of a war with the USSR, where Dashnaks would be the government party. Also, apart from attaching the Armenian districts of Turkey to Armenia, the country would had been expanded thanks to the annexation of Nagorno-Karabakh in the east and the Borchaly region of Georgia in the north." In other words, the Dashnaks were ready to establish yet another Reichskommissariat in the South Caucasus, similar to those that the Nazis had already established in other occupied territories. The only difference was that in other regions of Europe, the Nazis had no other choice than to implant their Aryan theory of racial superiority in Europe forcefully, whereas in Armenia there was already a group of potential functionaries of the occupation regime who carried the racist Nazi ideology of Tseghakron. "Kamsarakian’s testimony and his role in recruiting Dashnaks for cooperation with the Germans is confirmed by the convicted leader of Armenian emigrants Ter-Arutyunian, also known as Nzhdeh, who has been serving his term in the Vladimir Prison of the Ministry of Internal Affairs of the USSR." In this case, the fact that the testimony of one Armenian accomplice of German Nazism was verified through the interrogation of another one is not important, as this is a completely common practice used by special services in any country of the world. 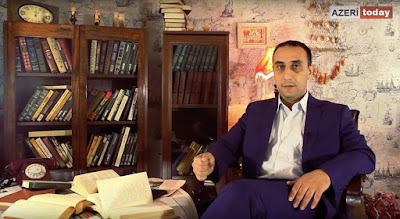 It is important, however, that Garegin Nzhdeh confessed that he and his supporters from the Dashnaktsutyun had collaborated with the Nazis consciously and purposefully since the 1940s; that the name of his organisation (Tseghakron) was translated from Armenian as racists; and that his party members had collaborated with the Nazis not only to provide military and economic intelligence, but also to do marketing and sales of the property of Holocaust victims. In other words, Nzhdeh personally confirmed that he was a supporter of German Nazism, his ideology of Tseghakronism was openly racist, and he was no other than a war criminal. It is noteworthy to recall here that fifty years ago, the top political leadership of the USSR was well aware of the fact, which nowadays is almost completely forgotten in Russia, that Garegin Ter-Harutyunian, also known as Nzhdeh or the Guest Worker, was not just a Nazi accomplice but also an interpreter of its racial theory for Armenian nationalists. He did a lot to promote the Nazi ideas. Therefore, it is very surprising that the Russian political elite considers the recent installation of the Nzhdeh monument in Yerevan "an internal matter of Armenia", hence ignoring one of the revived forms of glorification of Nazism and racism. This is in no way compatible with the provisions of the UN resolution adopted by its General Assembly on December 18, 2013: Combating glorification of Nazism and other practices that contribute to fuelling contemporary forms of racism, racial discrimination, xenophobia and related intolerance. "… racism, racial discrimination, xenophobia and related intolerance, where they amount to racism and racial discrimination, constitute serious violations of and obstacles to the full enjoyment of all human rights and deny the self-evident truth that all human beings are born free and equal in dignity and rights, are an obstacle to friendly and peaceful relations among peoples and nations, and are among the root causes of many internal and international conflicts, including armed conflicts, and the consequent forced displacement of populations…"
The glorification of Nzhdeh's personality and his openly racist theory of Tseghakronism, as well as the adoption of Tseghakronism as the official state ideology of the Republic of Armenia also contradict almost all the provisions of the International Convention on the Elimination of All Forms of Racial Discrimination adopted by the UN General Assembly's Resolution No. 2106, dated December 21, 1965. Today, with more than 90% of its population being ethnic Armenians, Armenia is a monoethnic country surrounded by multinational states of Azerbaijan, Georgia, Iran, and Turkey. The presence of heavily Armenianised national minorities, the Aisors and Yezidis, does not contradict the official state ideology of Tseghakronism. According to the doctrine of the "Armenoid" race, these peoples are also "Armenoids", which completely excludes any external disparities between form and content. Considering the closure of all Russian schools in Armenia, as well as the expulsion of all the representatives of Turkic peoples from the country, then we can clearly declare that Armenia is not only a country of permitted Nazism but also a victorious racism. The Russian authorities should bear in mind that constant protests against the glorification of Nazism in Ukraine and the Baltic states only do not imply that one can remain indifferent and ignorant to similar events in Armenia. 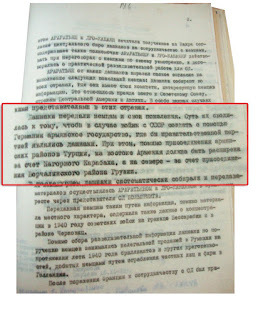 Especially when there is evidence in Russian archives that directly point to the Nazi and racist nature of Nzhdeh's Tseghakronism. In legal terms, the monument to Nzhdeh is a kind of immoral practice that contributes to the escalation of contemporary forms of racism, racial discrimination, xenophobia, and related intolerance. On June 10, 2016, during a press conference, the official representative of the Russian Foreign Ministry, Maria Zakharova, made the following statement, which was absolutely inappropriate in this case: "It’s not clear why the monument was erected because we all know about the immortal feat of Armenian people during the Great Patriotic War and the World War II". The monument to Nzhdeh is a monument to the Nazism that won in Armenia, hence it must be destroyed like any other image serving to glorify anti-humanism.